Try God’s upside-down plan for your marriage! Recently, God has prompted me to consider who is truly on the throne in my life. Am I really putting God at the center of my focus, or is everything actually about me? Drat. I have to be honest and say that when it comes right down to it, I tend to filter everything in my life and my marriage through the question “what will make me happy”. How about you? What if we changed the question? 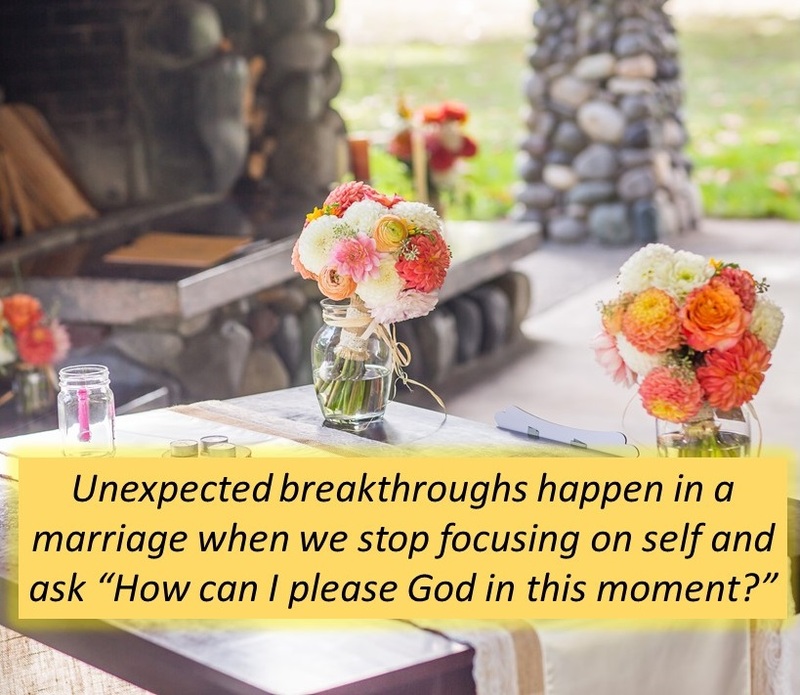 I am suggesting that we start looking at our husbands, our marriage, our children, our work, and everything through the question “how can I please God at this moment?” I believe this could radically change our relationships. In Matthew 6:33 Jesus reminds us to “seek first his kingdom and his righteousness, and all these things will be given to you as well“. In other words, we should strive to please God in all we do and we can trust Him to meet all our needs in return. The world tries to convince you to focus on you. The message is “you should focus on what makes you feel happy at the moment and you will be fulfilled.” Unfortunately, this “formula” almost never works. The Bible turns that equation upside down. God tells us to focus on pleasing Him even when it doesn’t seem like you will be happy, and then you will indeed find true fulfillment and joy. What if you were to ask the Lord to show you how HE wants you to treat your husband this week and how HE wants you to handle difficult situations with your husband? I wonder how your marriage would change? Shall we try God’s upside-down formula this week? ← Don’t allow yourself to indulge in this thrill!